Why didn’t the pilot eject? A grim discovery last night in Deerfield, Va., as investigators discovered the remains of Lt. Col. Morris Fontenot Jr., the pilot on a routine flight from Massachusetts to New Orleans whose F-15C jet crashed in the mountains of western Augusta County early Wednesday morning. There had been reason to believe that Fontenot had possibly ejected from the plane before the crash. Without divulging details of the investigation, law enforcement sources had indicated that Fontenot had been in contact with air traffic controllers in Leesburg before the crash, and word was that he had been advised to ditch the plane and that he may have indicated that he was planning to do so. So why didn’t he eject? We may never know for sure, but pilots are known to want to look out for those on the ground below, and it’s possible, if not likely, that Fontenot stayed with the plane to guide it to the ground away from homes on the ground. The spot that the plane ended up hitting wasn’t that far away from homes in the rural Deerfield Valley when factoring in the speed of an F-15. Let’s go ahead and consider him a hero until we hear otherwise, and I doubt we’ll hear otherwise. Bob McDonnell trial wraps closing arguments: Tuesday will be when the jury gets its instructions in the trial of former Gov. Bob McDonnell and his wife, Maureen, on corruption charges. Don’t expect a lengthy deliberation. The McDonnells will be exonerated, not as much because they didn’t do something wrong in taking loans and personal gifts from a pharmaceutical company CEO that they then didn’t disclose, but because Virginia law is vague on the topic, one, and two, because what they’re guilty of, at best, is stupidity, if not also plasticity. The ugly revelations about their personal lives being basically in shambles dating back to before Bob McDonnell’s victory in the 2005 attorney general race are just plain sad; and no, you don’t have to be a hard-core Republican to feel that way. Looking forward to the Labor Day parade: Buena Vista, 6,002 happy citizens, and 3 old grouches, as the sign that greets you on your way into town tells you, hosts an annual Labor Day parade that brings in politicians from Richmond and Washington to march the streets downtown and then make speeches at the park on the other side of the river. I went to my first Buena Vista Labor Day parade back in 1997, and have been to most since. This year will be a big ‘un, with a hot and heavy Senate race, sorta, kinda. Mark Warner, the Democratic incumbent, is up big in the polls, but he will work the streets of Buena Vista like he’s 20 points behind, mostly because that’s how he operates. I’ll be following Warner as he crisscrosses the streets trying to shake 6,005 hands, and then effort to get interviews with the senator and his opponents in the November election, Republican Ed Gillespie and Libertarian Robert Sarvis, and report back on what they had to say on the issues of the day. 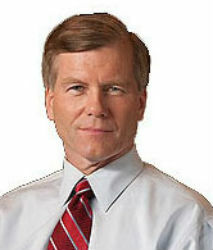 Looking forward to the drive down and back with an old media friend, Bob Stuart at the News Virginian. Bob and I will be carpooling to Buena Vista on Monday.